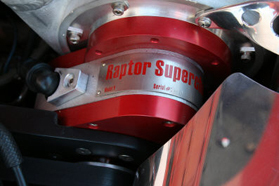 The Raptor ProStreet Supercharger system for EB - EL V8 Falcon owners, is the lowest cost/highest power kit for the Falcon XR8 5.0 owner. This is big power on a competitive price. Give your XR8 5.0 the raw grunt it should have!! 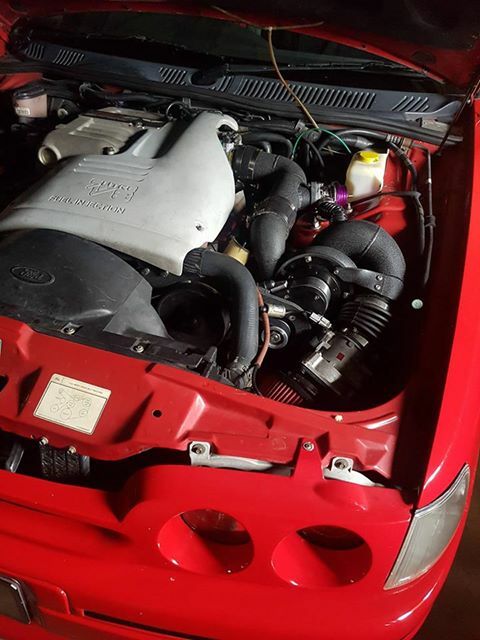 A hugely affordable and simple supercharger system. Check out the potential and know this is the most cost effective way to make the FIVE - O MOVE! 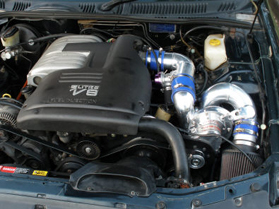 This is for every E series owner wanting big power. Up to 10psi boost and bigger power gains are seen on engines with modified heads etc. Power range is now 330 - 430hp measured at the tire. Anodised charger and colour matched silicon is optional. Quartermile times proven at 12.3@112mph with supporting modifications.